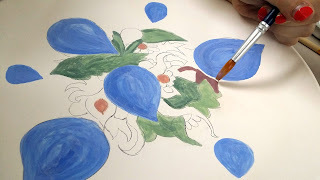 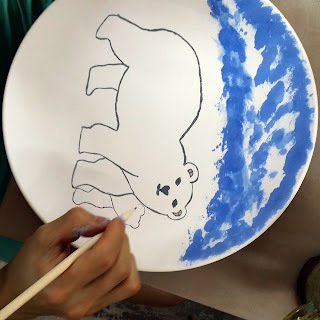 Unique creative activities for adults. 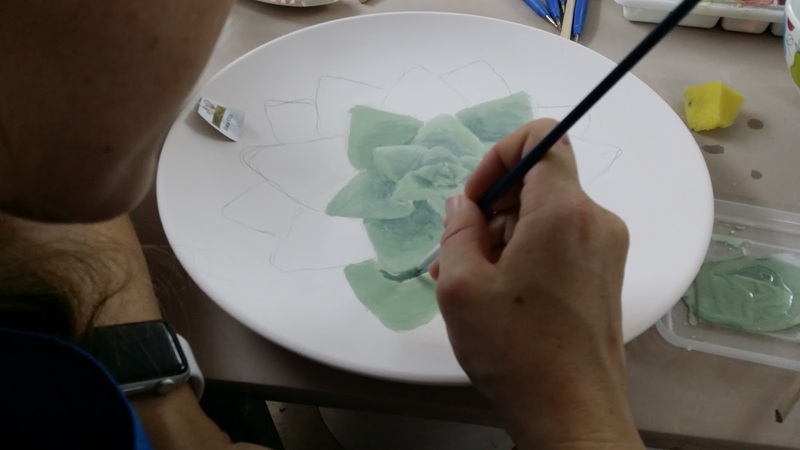 I demonstrated a variate of techniques to apply under glaze to the bisquwere. 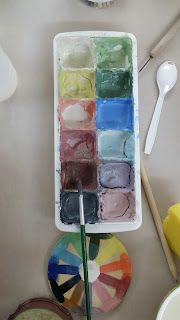 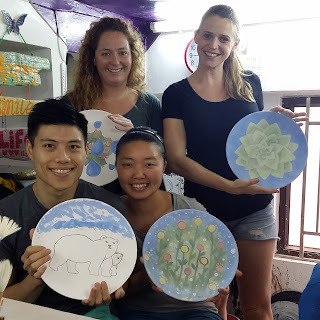 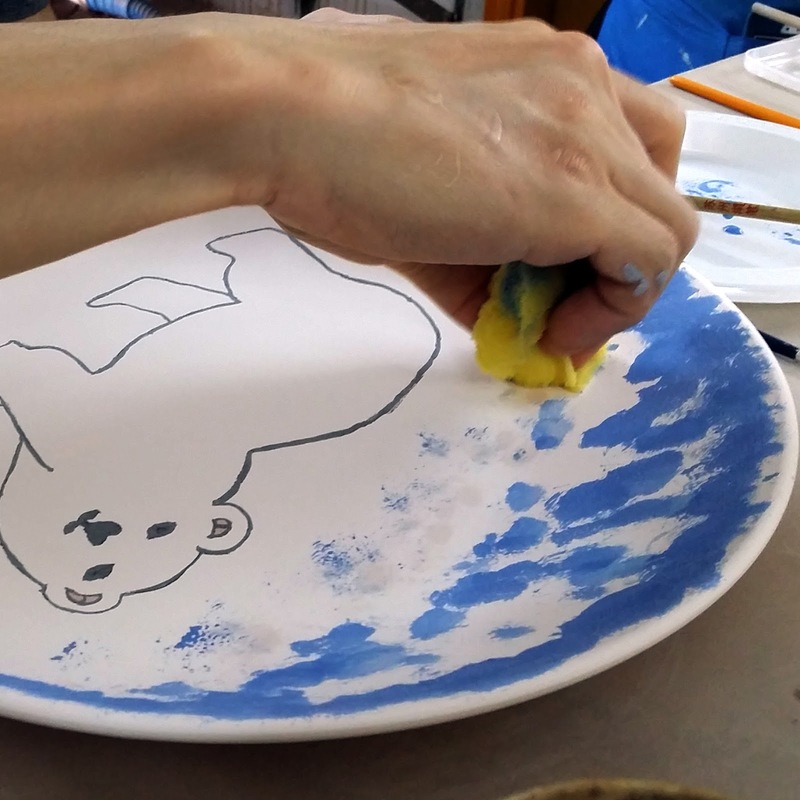 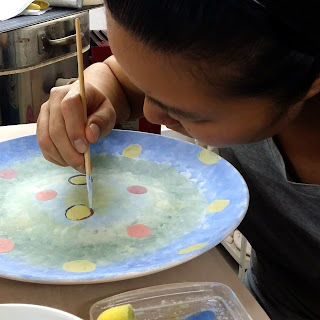 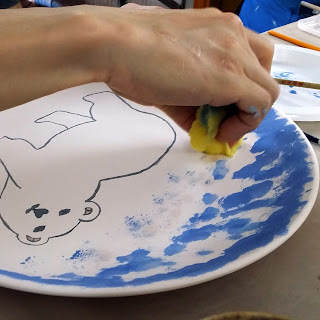 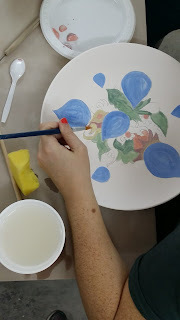 When the participants were finished decorating, a clear glaze was applied and the pottery was re-fired. The Participants could pick up their work in about a week and the finished pottery is fit for use.